The event was held in The Helix, Dublin and began with an address from Deputy President of DCU, Daire Keogh. Caitriona Perry(RTÉ) acted as chair of the opening panel discussion, which consisted of Ian Marshall(Seanad Éireann), Anne Mulder (Tweede Kamer- The Netherlands), Stephen Gethins (MP House of Commons) and Vaclav Hampl (Senat-Czech Republic). The second panel discussion was chaired by Kevin Doyle (Irish Independent) and consisted of insights from Tom Hall (AIB), David Molloy (Arthur Cox), Federico Fabbrini (DCU) and Mary Murphy (UCC). 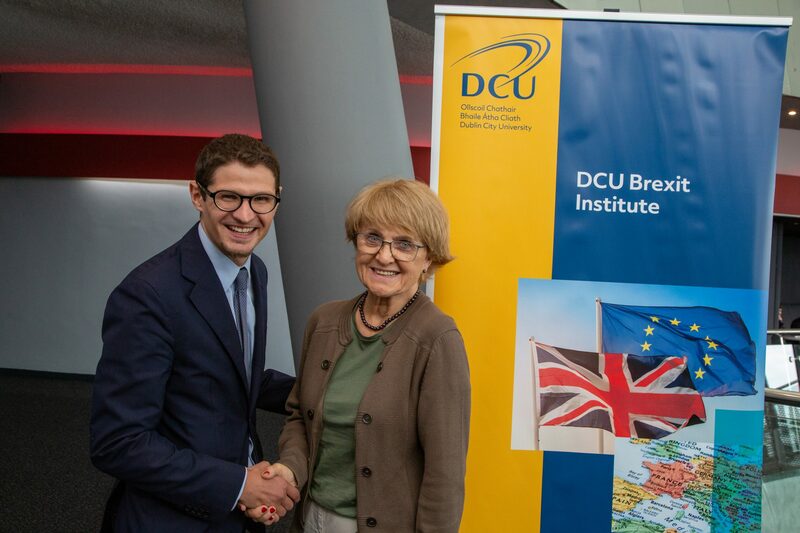 The event was closed by Danuta Hübner (Chairwoman of the European Parliament for Constitutional Affairs Committee). A more detailed report will be available in the coming days.